Sao Paulo is the largest city in Brazil. Although it doesn't attract as many tourists as more popular Brazilian cities such as Rio de Janeiro, it does have a lot to offer visitors. There are some nice hostels around that offer a fun and safe environment for guests. If you're planning to explore the city in detail, it's important to be close to a metro station. Many hostels also organize events and activities for guests which encourage solo travelers to meet and interact. 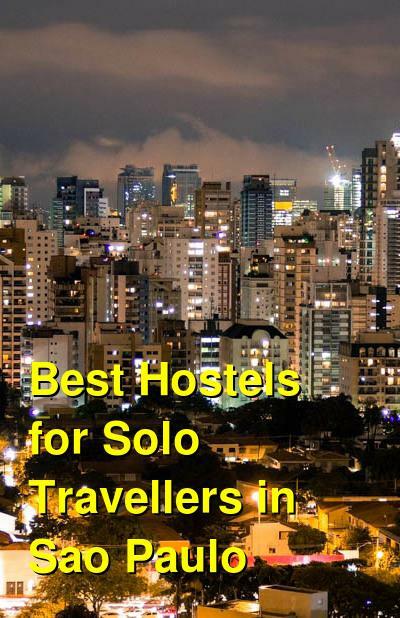 This hostel is a great option for solo travelers who want to meet other guests and have an oasis of comfort after a day spent exploring Sao Paulo. Located in the traditional neighborhood of Vila Mariana, this hostel has a peaceful setting near many different tourist sights. 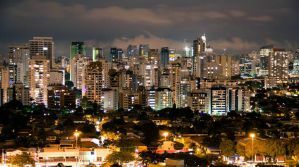 It's also accessible to public transportation and is near Parque do Ibirapuera as well as shopping streets and nightlife. The hostel is located in a 1920s mansion that has been completely renovated. The hostel's decor has an eclectic and retro vibe and the furnishings are comfortable and modern. The designers worked hard to ensure that the hostel has plenty of comfortable shared space where guests are encouraged to relax and get to know each other. There are television rooms, lounges, and dining areas. The hostel sleeps a total of 46 people, and there are always guests around to chat and swap stories with. Both private rooms and dorms are available. Dorms sleep a maximum of eight people and mixed or female only rooms are both available. Viva Hostel Design is a popular hostel in Sao Paulo that is a great setting for solo travelers looking to make new friends and enjoy a comfortable environment. The hostel is in a convenient location in the city about eight minutes from the Vila Madalena metro station. It's also surrounded by many great restaurants, bars, cafes, and markets, so it's a great area to base yourself during your time in the city. The hostel offers guests a variety of amenities including free breakfast, a shared kitchen, security lockers, and comfortable beds. There is plenty of common space where you can relax. There's a lounge with sofas and computers, a tv room where you can watch movies or play video games, and a bar area where you can watch sports on television and enjoy a drink. It's a great environment to meet other guests and make a few friends while you're in the area. The staff is also friendly and helpful. They can help you arrange any type of travel, and they regularly organize events for guests including city tours and pub crawls. Bee.W Hostel is designed to be a fun hostel at an affordable cost. It offers guests a fun and lively environment without breaking the bank. The hostel has the popular Bee.W Bar right as you walk in, so before you even check in, you'll likely be meeting other guests. The hostel is conveniently located in the financial and cultural heart of the city. It's very close to Paulista Avenue and is near two different metro stations. Many of the city's top sights are also accessible on foot. The hostel is a fun and lively place to stay. In addition to the popular bar, there is a shared kitchen, a barbecue area, and a rooftop terrace. The hostel makes use of the outdoors and there are tables, couches, and a jacuzzi all found in the green space outdoors. The hostel has five different dorm rooms, each with its own vibe. The beds are comfortable and lockers are available. All rooms are air conditioned as well. Private rooms are also available for couples or small groups. If you're looking for a hostel that has a fun environment with an energetic crowd, then this is the perfect hostel for you. Brazilodge Hostel is a great option for travelers who are looking for the social environment of a hostel, with the amenities and comfort level of a hotel. Every room has it's own private bathroom, comfortable beds, and air conditioning. The hostel is conveniently located near Ibirapuera Park and is accessible to Paulista Avenue Subway. It's also near many great bars and restaurants, so it's easy to find things to do and places to go in the immediate area. Both private rooms and dorms are available. Private rooms include twins, triples and quads, and dorms sleep four or eight guests. Rooms are divided by gender with female only and male only rooms available. The hostel includes the standard amenities such as breakfast and lockers. The staff is friendly and they keep the atmosphere light and friendly.